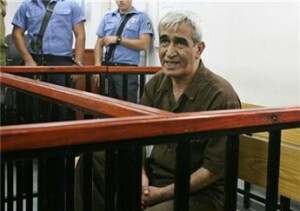 Ahmad Sa’adat will have a hearing on his challenge to his isolation and to the practice of isolation in the occupation prisons on October 22, 2009. Attorney Leah Tsemel, who is representing Sa’adat, the imprisoned General Secretary of the Popular Front for the Liberation of Palestine, in the challenge to the practice of isolating Palestinian political prisoners from the general Palestinian political detainee population, said that the challenge will come before the Central Court of Bir Saba on October 22, against the I sraeli Prisons Administration. Sa’adat has been held in isolation in Ramon prison in the Naqab desert for six months, when he was transferred from Hadarim prison in Asqelan after 14 days of isolation. 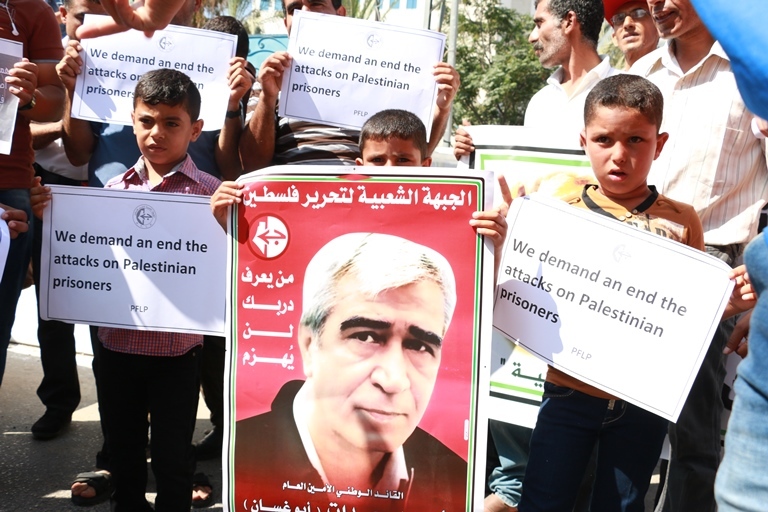 Sa’adat has been targeted for isolation and abusive prison conditions alongside other Palestinian national leaders and popular prison leaders, and placed in special isolation units. Within these isolation units, Sa’adat has been placed further inside a separate isolation unit where he is confined without access even to the other prisoners in isolation, and deprived of basic human rights. His personal books have been confiscated and he is allowed access to newspapers only once or twice weekly. He has been denied family visits – his wife, Abla, has been denied visits for three months – as well as legal visits, and barred from purchases at the prison canteen, including cigarette purchases. In the priosn yard, Sa’adat has been held handcuffed and in ankle shackles and allowed only one-hour of exercise/recreation. All of this has been ‘justified’ by the occupation authorities as ‘punishment’ for giving two packs of cigarettes to another prisoner. The Prison Administration is attempting to criminalize the human and social relationship between fellow Palestinian prisoners, and between the prisoners and their families outside. 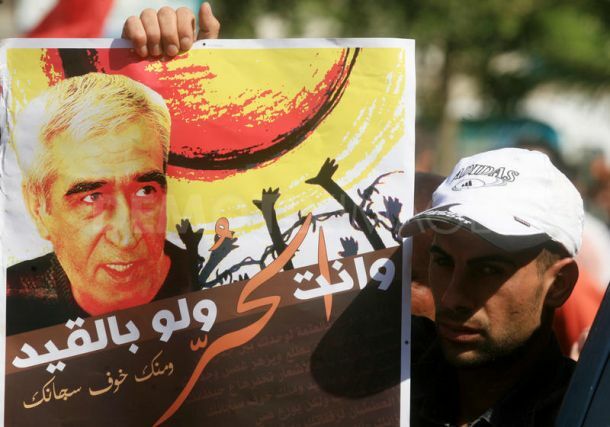 Sa’adat has led in the struggle against isolation, engaging in a nine-day hunger strike in July 2009 that was immediately followed by his transfer to Ramon prison. Ahmad Sa’adat has been imprisoned since 2002 in the prisons of the Palestinian Authority, held under U.S. and British guard, until his abduction by the Israeli occupation forces on March 14, 2006 by an occupation military raid on Jericho prison. On December 25, 2008, he was sentenced to thirty years inside the occupation prisons. He is a member of the Palestinian Legislative Council and one of the foremost Palestinian national leaders held inside the occupier’s jails. Events and activities are expected to be held in Palestine and around the world in support of Sa’adat from October 16-22, calling for freedom and justice for Sa’adat and all Palestinian prisoners. Abla Sa’adat, his wife, called for a broader campaign of solidarity on the Palestinian, Arab and international levels in order to end the inhuman conditions of isolation confronted by Palestinian prisoners that violate all standards of human rights, as well as to demand and secure his release. She further called upon the Palestinian Authority to take responsibility in this aspect, since it bears the responsibility for holding him in Jericho Prison as part of its ‘security cooperation’ with the occupier. Abla Sa’adat said further that she is confident that those who hold captured occupation soldier Gilad Shalit have kept Sa’adat at the top of the list of prisoners whose release is demanded in return for Shalit. Next articleOctober 22: Take Action to End Isolation and Free Ahmad Sa’adat and Palestinian Prisoners!